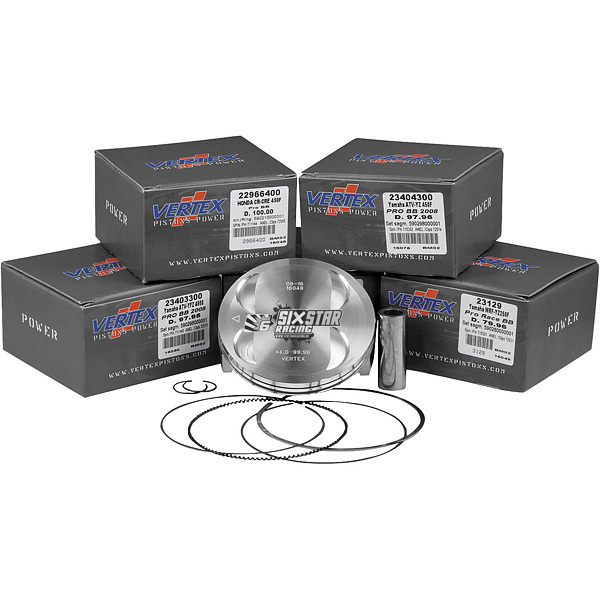 When it comes to power and performance, Vertex four-stroke pistons are hard to beat. 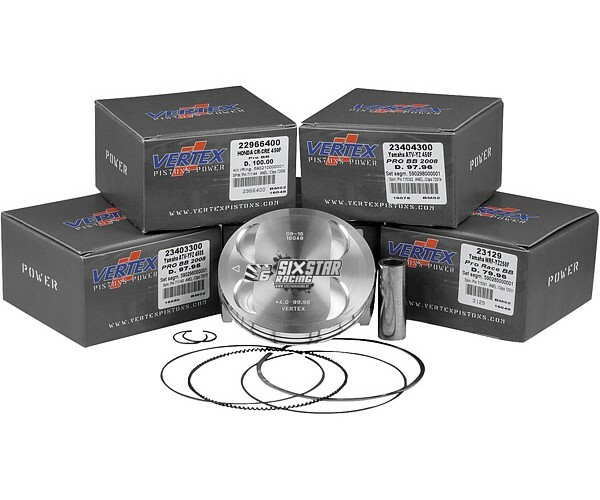 Forged from the highest quality 2618 aluminum alloy, Vertex pistons are perfectly suited to handle the rigors and high pressures of today’s modern four-stroke engines. 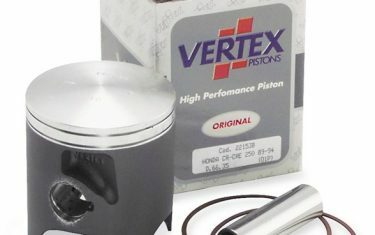 Plus, to aid in the break-in process and reduce wear, every Vertex piston utilizes a unique Molybdenum Disulphide (MOS2) coating on the piston skirt. But, what truly sets Vertex apart from the competition are the unique piston profiles and compression ratios that are offered in A, B, C and D sizes. This variation in sizing, a mere 0.01mm, allows the piston to be perfectly sized to the cylinder for maximizing power and performance while reducing blow-by and oil consumption.